CES or the Consumer Electronics Show is revered for being known as the venue for some of the biggest announcements of the tech industry. 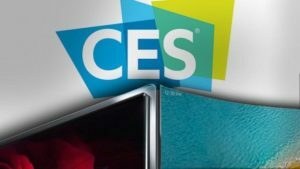 By now you must have been familiarised with the best tech devices like smartphones, laptops and smart home appliances which have been launched in CES 2018 but you may not have been acquainted with those unusual products which might offer you something different from the regular. We will offer you a list of the few off-beat products which will be on display. Are you aware of the famous skin care company Romy Paris? They have launched their Personal Cosmetic Lab which is a device that can be kept on a table and which dispenses skincare products which are adjusted in such a manner that they fit with the skin of the user every time they’re used. If you compare this to the skincare products of the mass audience, which can be kept on the shelf for more than a year, the Lab will mix a formula on a regular basis. The company is of the opinion that the app can also monitor changes in weather, the sleep schedule of the user, her food intake and also factor in other things for the user’s well-being. The Caveasy One is there with the aim of easing off the management and storage of wine collection. This rack is connected by the app and its expandable rack uses different stackable trays which can be home to 5 bottles per level. The racks have sensors which detects the time when a bottle was placed in a slot and also the temperature and humidity of the environment. The app also offers notifications in case the rack finds out any problem with the environment of the rack and it also offers you advice on the way you can rectify before it affects the collection of the wine. You might not drink too much of wine yourself but you can know someone who does that. If wine aeration is one of the biggest problems for you, Aveine always has got a solution for you. This gadget is the best among all the new technologies which serve the best tradition for multi-sensory feelings as per the company. This has a wine bottle cap and it also got an app. You just have to scan the label along with the app and soon you will find the software identifying the app. It will instill the exact amount of air when you pour. All the other skateboards which we’ve tried and which are all connected to an app were all dependable on a remote. The StarkBoard can sense the weight of the user which shifts and it is able to control like a snowboard than a skateboard. There is the app for the display statistics of StarkBoard like temperature, battery power, distance that you’ve travelled and the speed. It also controls the lighting of the unit and the ground effect. This skateboard has got a 10 mile range and a top speed of 20 miles per hour. Therefore, as you see, apart from the most popular iPhones and Samsung Galaxy smartphones, there is a lot more which also needs attention of the users. The above listed ones are those that are not much-talked about and hence you need to read such posts to know about them.